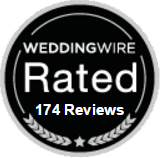 At White Swan Bridal, our goal is to make your bridal dreams a reality! 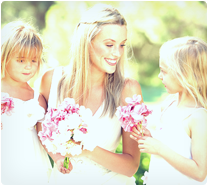 White Swan Bridal Boutique has been making brides feel and look beautiful since 1997. We are known in the area for our impeccable red carpet service and our friendly staff. Our commitment to excellence goes well beyond finding the perfect dress for you, we provide full alternations as well to make sure that you have the best fit possible. Our skilled design team is rigorously trained to make professional alterations on couture bridal gowns. All of our alterations are done ‘in-house’ with at least five employees on staff. We accept outside alterations, provided that there is enough time to alter the gown. In some instances, rush alterations are also available. Please call 703-255-9032 to make an appointment! Had lots of fun at the wedding? Need the dress cleaned and preserved? We can provide cleaning and preservation services at an extra charge to our clients. Fees range depending on the material and the soil level of the dress. Once the gown is cleaned, we can store the dress in a beautiful preservation box. Unique Display White Swan Bridal boutique has one of the most unique displays a bride can ever find. All of the dresses are featured on mannequins so that browsing for the perfect gown is ever so much easier. The bride can instantly see how the dress fits on the body without having to go through the arduous process of trying everything on. Exclusive Collections White Swan Bridal prides itself on featuring exclusive couture collections from a variety of different countries, such as Italy, France, Spain, and the US. The list of designers includes: Anais Collezioni, Two by Rosa Clara, Aire Barcelona, Kitty Chen Couture, Anjolique, Casablanca, Jasmine Haute Couture, Private Label by G as well as many others. White Swan has been consistently chosen for the exclusive Platinum Award by Casablanca Bridal in its commitment to excellence. Professional Alterations All of the alterations are always done on site by a team of skilled seamstresses. Moreover, many brides choose to bring gowns bought in other stores to be altered by White Swan seamstresses.